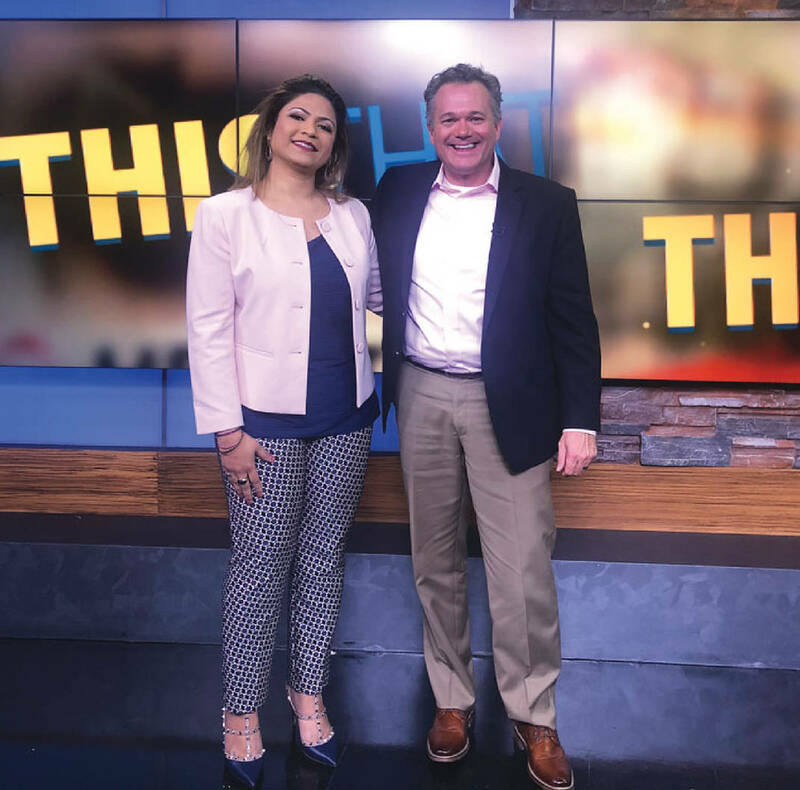 Amna Shah with NewsChannel 9's James Howard. The Chattanooga Chamber's International Business Council honors AHS Consulting with the 2017 International Business Award. 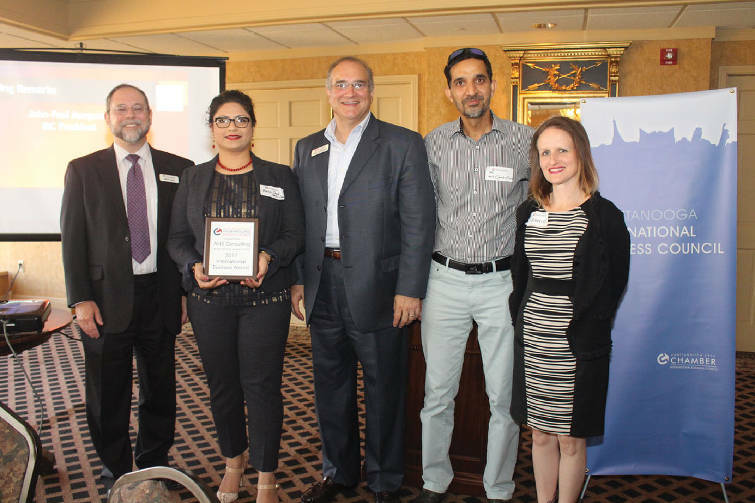 Amna Shah, founder of AHS Consulting, shares her experiences as an immigrant, a business owner and an accomplished professional who takes pride in giving back. Trend: How long have you been in business and why Chattanooga? I've been opening businesses since 2002 but we opened AHS Consulting, a global IT and consulting solutions provider, in 2014. When I was offered a job in Chattanooga, I didn't know Chattanooga existed (coming from Chicago), but I fell in love with the hospitality/warmth of the people here. The entrepreneurial spirit and the support system available to new businesses is unparalleled. The talent scene and airport is also quickly taking shape to support growth. I joined Steam Logistics (subsidiary of Lamp Post Group) as their controller. About six months into the position, I decided I wanted to help multiple freight forwarders around the world become more efficient by automating and using CargoWise Logistics software. Coupled with my accounting expertise, AHS Consulting took off within the first year and we grew too big too quickly, which had its challenges as well as its blessings. Trend: You're involved with the Chamber's International Business Council (IBC). How does IBC support international business in our community? My company, AHS Consulting, received the first award for international business in 2017 from the International Business Council. We were elated to be recognized. The following year I wanted to make an impact for other international businesses in Chattanooga and joined the board. It was a no brainer to be part of as IBC does so much to bring our international community together. For example, when I've needed employees, I've tapped into the resources available at UTC's College of Business through another board member, and the job advertisement was posted quickly with qualified graduate students responding. Trend: What other ways are you and your company involved in making a difference in our community? My company and I help fund a small private nonprofit school, Annoor Academy, to support refugee families. I'm on the board of the school as well as the board of the IBC. Sponsoring events for the IBC, serving as their VP of communication and spreading awareness is my priority for this year. We are also involved as sponsoring members of ChaTech (local nonprofit supporting the tech community in driving regional economic growth), OPEN Chicago and other organizations that enable minorities as well as tech in Chattanooga. 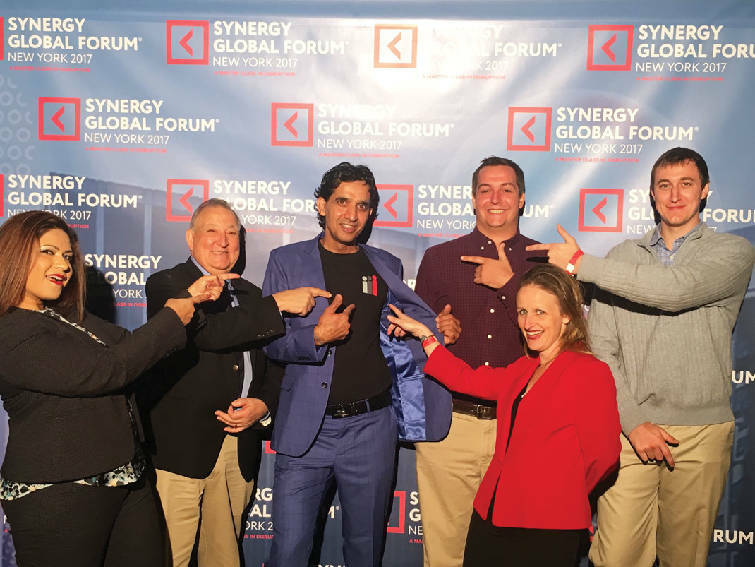 (Shah far left) The AHS Consulting Team celebrates after a successful unveiling of i-Card at the Synergy Global event. i-Card (business card app) is an incubated company completely funded by AHS. Trend: How did you get into your field of work? I came to the U.S. in 1999 to attend college while working at a silk flower warehouse which is also where I learned about logistics and importing/delivery of merchandise. After I got my associate degree in international business in 2001, a headhunter interviewed me at my college's placement fair. She wanted me to interview for an import agent position at a freight forwarding company. I wasn't sure if I would be a good fit but she explained it was an entry- level position so I gave it a shot. I was the fifth interviewee of the day and the one with the least related experience. But I was hired on the spot to start the following Monday. My manager was apparently blown away by my answers to interview questions. I didn't stop there and proceeded to obtain my bachelor's and master's degrees in the evenings after my full-time job ended each day, which later opened doors for me to become the financial analyst, controller and then finance manager of the same company. After more than seven years working there and helping install CargoWise, I then joined another British freight forwarder before moving to Chattanooga. Trend: What inspired you to launch your own business? My inspiration was a unique need in the industry for an expert from a freight background, as a degreed accountant savvy with technology, to help freight forwarders and customs house brokers become more efficient at moving freight and information. A common misconception is that immigrants come to this country we call home and take away jobs. But I defy that misconception every day as my company has created jobs for locals in Chattanooga as well as nationwide and even in Canada. We have also embarked on a yearly plan to give back by educating kids in the U.S. and overseas in rural areas of the world. I believe enabling people with the gift of education is the key to a bright and educated world. Trend: What do you enjoy about it? I believe in the system we install for our customers and back our solutions 100 percent. I enjoy solving our customers' unique problems by bringing automation to a somewhat archaic industry. We interface between customers' existing systems and track and trace portals for their containers and goods in addition to anything/everything they can think of. As an accountant, I'm also an advisor to multiple freight forwarders looking to make educated decisions about their growth, helping them make investment decisions or helping with yearly audits and budgeting. Every day brings a new challenge in my life.